Supreme Court’s verdict on Rafale goes beyond the case: It has said very clearly that it will stand for the right of independent media to bring facts to public light and has firmly put itself in the camp of transparency vis-a-vis the government. The writer is a senior resident fellow at Vidhi Centre for Legal Policy, and is based in Bengaluru. One of the many failings of legal education in India has been the acontextual manner in which judgments of constitutional courts are presented without proper historical and political context. Only those who discover the writings of historians and political science experts end up appreciating the importance of placing judgments in context. Only recently has legal pedagogy accepted the importance of such contextual readings. On the face of it, the Supreme Court’s judgment in Yashwant Sinha v Union of India on April 10, affirming the admissibility of the Rafale Papers first published by The Hindu newspaper, seems a very minor one. It does not lay down any new principle of law, only re-affirms all the well-known judgments concerning freedom of speech and the right to information, and merely sets the stage for the next round of litigation on the Rafale acquisition issue. The main question — whether there is a need to investigate the Rafale acquisition by the Union government — remains undecided. CJI Ranjan Gogoi’s judgment (also signed on to by Justice Sanjay Kishan Kaul) is laconic: We never really get the full context as only the bare minimum of facts are recorded. The judgment has nothing to say about the content of the documents being contested and barely records the arguments advanced on behalf of the petitioners but methodically and carefully dismisses every one of the arguments made by the Attorney General of India, K K Venugopal, on the admissibility Rafale papers. As an answer to an essay-type question, it would not be out of place — correct on the law and facts but seemingly inconsequential. It is therefore to Justice K M Joseph’s concurring judgment that we must turn to, to really understand the context and importance of this case. Much longer than Gogoi’s, it starts by foregrounding the importance of a press free of fear and bias to the functioning of a democracy. Joseph painstakingly goes through the Right to Information Act, 2006, in relation to the Official Secrets Act, 1923, pointing out the underlying paradigm shift which informs the new legislation — that openness in government is the new norm, and secrecy limited to situations where necessary. He is conscious that this is no mere procedural order in just another litigation and says as much as he ties up the issues of free speech and transparency in government with the main issue in this case: Corruption at the highest levels in government. Why, one could ask, did Joseph bother? After all, the Union government has not in any way attempted to prosecute The Hindu under the Official Secrets Act. 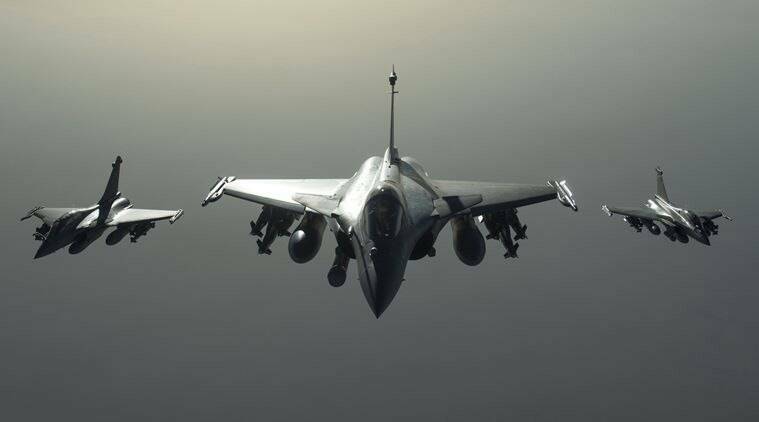 As of writing, it has not made any attempt to stifle or limit The Hindu’s (or any other newspaper’s) reporting of the details of the Rafale acquisition and the many sins of commission and omission it entailed. What was the need for a concurring judgment — that too one longer than the main one? A concurring judgment is not always an appendage. From a thoughtful and visionary judge, such a judgment outshines the primary, effectively becoming the law of the land even if the majority of judges have not necessarily signed on to it. Justice O Chinnappa Reddy’s concurring judgement on tax avoidance and tax evasion in McDowell v Commercial Tax Officer is cited far more often than the majority judgment in that case. Justice Krishna Iyer’s ability to dissent while ostensibly concurring and yet effectively laying down the law was practically an art form. A well-written and cogent concurring judgment can shape the law far more effectively than the majority judgment. This is what Joseph’s judgment does. While Gogoi’s judgment reads like a dialogue between him and the AG, Joseph’s is aimed squarely at the public. In all the hearings in the Rafale case so far, he has taken an almost inquisitorial approach to grilling the government’s lawyers. He has probed and prodded Venugopal on the law and pushed back strongly against some of the more egregious arguments addressed in the last set of hearings. The concurring judgment is thus him telling us, the public, that the exchanges in court are not just performative sparring but an attempt to push back and assert some core foundational principles of the republic. The context for the Supreme Court’s judgment here is not just the AG’s arguments on the Rafale papers, or even the Rafale deal alone. At a time when the powerful have attempted to de-legitimise independent media through accusations of “bias” and “fake news” (when they haven’t fully co-opted the co-optable sections of the media), the court has said very clearly that it will stand for the right of independent media to bring facts to public light. When there is an active and concerted attempt to dismantle the RTI Act and the institutions which enable it, the court has firmly put itself in the camp of transparency vis-a-vis the government. It is, however, necessary to sound a note of caution before celebrating this judgment. The court’s commitment to free speech and transparency will be tested when these principles are applied to its own actions. Will the Constitution Bench (which has just reserved judgment) bring the office of the CJI within the ambit of the RTI or find ways to avoid it on flimsy grounds of “judicial independence”? Will the court put a firm end to the practice of “sealed covers” for all and sundry matters? Will the court pull up lower courts which pass bizarre orders banning everything from websites to games to books simply for the asking? Consistency has never been a virtue that can easily be associated with the Supreme Court’s civil rights jurisprudence. It has lurched wildly from one extreme to the other, traversing long and winding roads, making a mockery of notions of precedent and stability of the law. That, however, is a discussion for another day, and for the moment, the Court’s order in the Rafale papers case is an unmitigated win for the public. This article first appeared in the print edition on April 17, 2019, under the title ‘Standing up for openness’. The writer is a senior resident fellow at Vidhi Centre for Legal Policy and is based in Bengaluru.